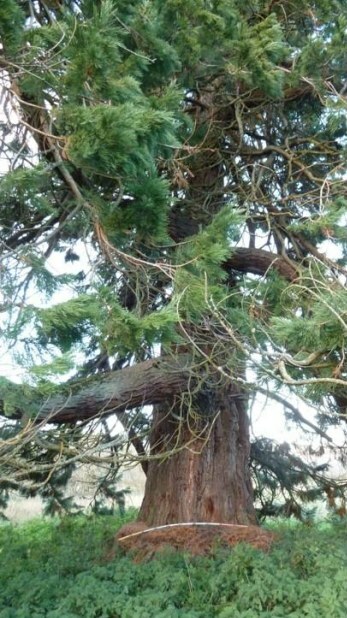 Thanks to Tam who has found more Giant Sequoia growing in Scotland. He says "On a trip to the Borders today I found a good number of Sequoias. 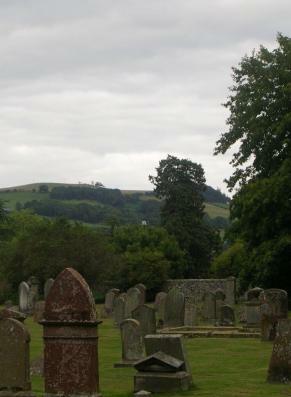 This one was on the other side of a wall surrounding Melrose Abbey." Thanks to James who sent the above photographs taken at Melrose Abbey and said "While doing a historic building survey in Melrose I came on this tree which sits directly on the Abbey precinct wall on the east. It measures 2.2m at its base and I wonder how old it could be. The other trees in Melrose at Darnlee belong to a well known family of Smiths who were well known Builders in the Borders and at one time constructed the longest whinstone bridge in the world. 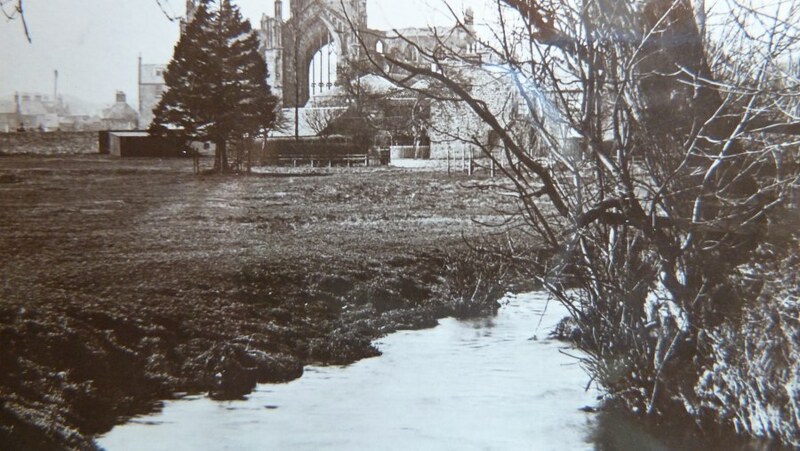 They interestingly had a yard at the Abbey up until 1850 and wonder if there is a connection? There is another tree at Avonlea about 500m south of the Abbey tree and while typing this I have realised that it too sits on the line of the precinct wall that runs directly in front of Avonlea. Going back over the precinct wall research it brought a realisation that both trees have been deliberately sited on significant points on the wall. 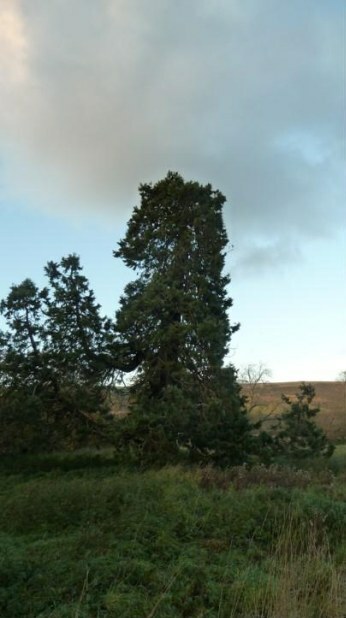 With the Abbey tree it is likely the eastern door entrance site and with the Avonlea tree that of a change of direction at what at one time was the ancient Priorwood. What I find interesting is that on your site you say these trees were probably not introduced till about 1850 . Is the image of the tree in 1895 that of an approximate forty year tree?" It was very interesting to see the black and white photograph taken in 1895 and it's great to add older pictures to see how the Redwoods looked years ago. Forty years does not seem an unreasonably accurate age, so you could well be right. It would be good to hear from anyone who knows anything about a connection between the Smith family and these trees.